How To Keep Pests At Bay While Doing Organic Gardening? Maintaining a kitchen garden or planting fruits/vegetables on your own is becoming popular with each passing day as a number of individuals now prefer to eat healthy and organic. While maintaining your own organic garden, you’re able to see the components going into the food. It means you can grow your crops free from herbicides and pesticides. You can employ the natural resources to inseminate your crops. One of the prime issues faced during natural gardening is the pest control process. Here, we will discuss the insect pests which can adversely affect your vegetation. In pest control, it is recommended to take a proactive approach to treating the bugs. Before planting the vegetables into the ground, it is suggested to put some plants which naturally fight those dangerous insects. For instance, marigolds are good repellents to aphids and nematodes. Planting a thyme can chuck out whiteflies, cabbage maggots, Loopers, corn earworms, and much more. Fennel helps to treat slugs and snails. These are few of the many plants that can assist you in keeping your garden healthy and pest free. There are several kinds of insects that will affect your fruits and vegetables in the garden. Also, the geographical area of your garden chips in the amount and type of insects. Some insects outspread during summers where others need cooler environs to propagate. The most common garden pests include worms, caterpillars, ants, aphids and vegetable bugs. These are the annoying creatures which can devastate your garden if they aren’t kept in control. If you’re an organic gardener, the core aim is to prevent your product from the unwanted pests and ensure the best possible crop yield. Do you know how to get rid of pepper maggots? The small maggots are the larvae of an insect which lays its eggs under the skin of peppers, tomatoes, and eggplants. It causes damage similar to that of the European corn borer. It makes the crop to rot. It may even cause the fruit to change its color prematurely. 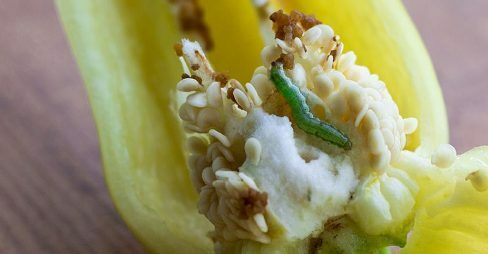 You can prevent it while setting up a trap of hot peppers around the affected area to lure maggot flies away from the prime crop. Next, you can use yellow sticky traps to capture adult flies. At the finish of the producing season, boot out spent peppers, eggplants, and tomatoes from the garden. For more help and information, browse into www.homyden.com.